Discover the great white Bolivian salt desert, the biggest on the planet! How to choose your tour? How can I get to Uyuni? How much time is needed for a tour? Where do the tours of the Salt Flats start? What types of tours are available? What is included in the tours? The Salar de Uyuni, also known as the Uyuni Salt Flats are the highlight of any trip to Bolivia and is definitely one of THE must see attractions in South America. Unlike traditional deserts which are filled with sand and rocks, the Salar de Uyuni features a vast expanse of glistening white salt. This desert of white salt is a scenery out of this world. The colored waters of the Red (Colorada) and the Green (Verde) lakes are surreal. Walk among the geysers of the Sol de Mañana geothermal fields at over 5000 meters above sea level, but be careful with the hot pools of bubbling mud and the jets of hot steam shooting up from the ground! For adventure and beautiful landscapes the Uyuni Salt Flat tours are the perfect excursion. Travel with us to Uyuni, Bolivia and admire the unforgettable views of the largest salt flat in the world: the Salar de Uyuni. 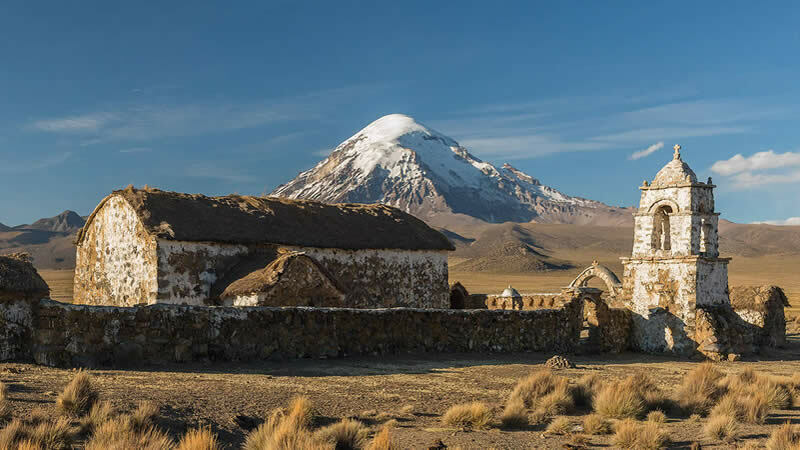 Explore the dramatic landscapes of the bolivian southwest with barren deserts filled with native wildlife and coloured lagoons surrounded by snow-capped volcanoes. Explore an island of ancient coral inhabited by giant cacti in the middle of a white salt desert. Observe how thousands of pink flamingos feed and nest in the blood-red colored waters of Laguna Colorada. Marvel at the near-perfect reflection of the Licancabur volcano in the still green water of Laguna Verde. In the Siloli Desert, the Stone Tree and other unique natural rock formations await you. The Uyuni Salt Falt, also known as the Salar de Uyuni covers around 4086 square miles, or about 10582 square kilometers. It is one of the locations where Star Wars 8, the Last Jedi was filmed: Planet Crait, once the location of a Rebel Alliance base that has since been abandoned. It is located in South-West Bolivia, at an altitude of about 3656 meters (11995 feet) above sea level. The salt flat in is estimated to contain 10 billion tonnes of salt and almost 70% of the lithium reserves in the world. The region is home to the Andean, Chilean and James flamingos. The salt desert was created when an inland sea called Lake Minchin dried up. The depth of the salt crust varies from over 10 meters to just a few centimeters thick. The Dakar rally sometimes passes through the region. There are no hotels inside the Salar, but several have been built around it. Some are made almost completely from salt! The Salar de Uyuni is about 25 times larger than the Bonneville Salt Flat in the US. Even though it is one of the flattest places on Earth, it can now be proven that the Salar de Uyuni is not perfectly flat. 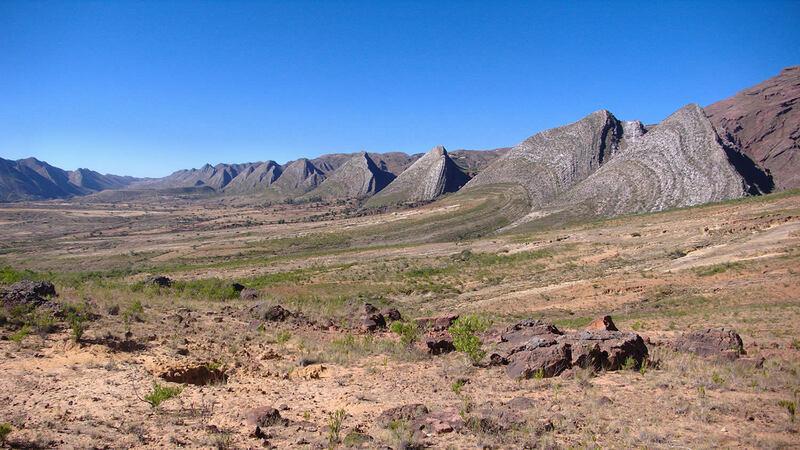 New measurements with the use of modern GPS technology revealed previously missed features resembling ridges, hills, and valleys only millimetres in height. They originate from the variation in material density, and thus the gravitational force, beneath the Salar’s sediments. During your trip you will discover the largest salt desert in the world, the majestic Salar de Uyuni, as well as the Incahuasi Island, home of giant cacti. You will take fabulous photographs and enjoy a beautiful sunset inside the salar. We offer a unique experience in the Salar de Uyuni. You will climb the Incahuasi island, enjoy a beautiful sunset, observe the stars and wait for a spectacular sunrise inside the Salar. 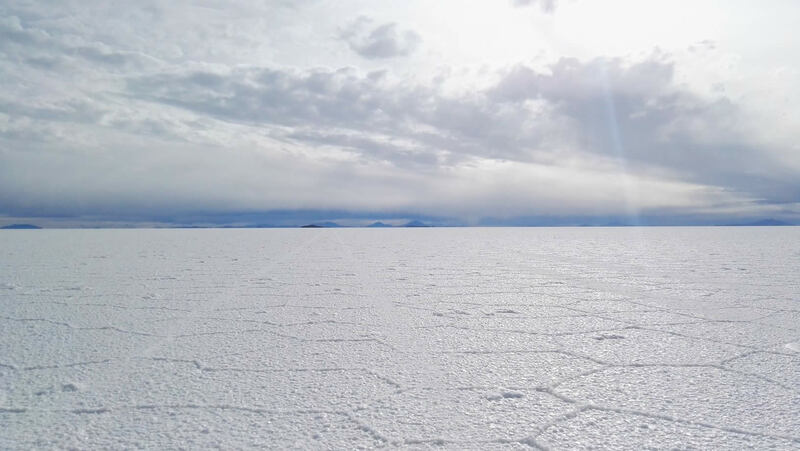 This tour is an attractive option for tourists who want to visit the Uyuni Salt Flat but don't have enough time to take a 3 days complete circuit tour. The tour shows the beauty of the Salar, Incahuasi Island, the eyes of the Salt Flat and Colchani Village. This tour is an attractive option for tourists who want to see the Uyuni Salt Flat but have little time. 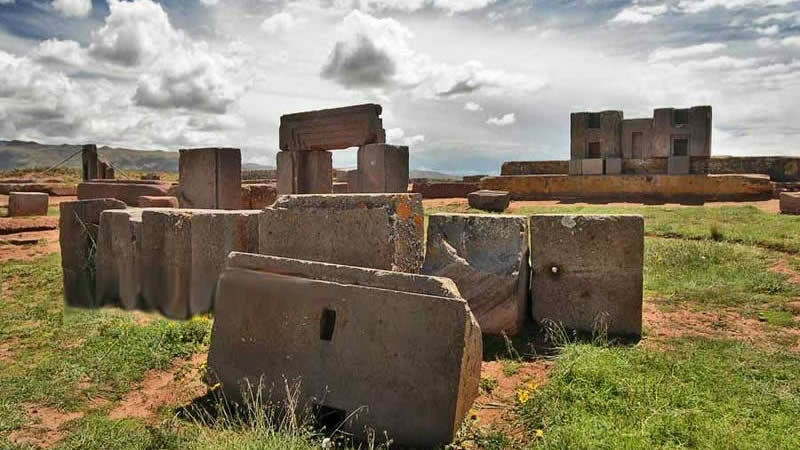 The Tour will show the beauty of the Uyuni Salt Flat and also offerrs visits to other points of interest in the area, such us Colchani Town, Salt Museum, Tunupa volcano and Incahuasi Island. Enjoy a different kind of excursion to the Uyuni Salt Flats / Salar de Uyuni. During this day you will not only visit the largest salt flat in the world, breathing pure air and basking in sunlight, but also get some excercise during a special bicycle ride. Visit the Salar de Uyuni and the High Andean Jewelry Route. During the expedition you will not only observe the impressive bolivian salt desert, but you will also breathe pure air enjoying wonderful landscapes full of volcanoes and lagoons decorated with Andean fauna. During Our expedition you will visit the wonderful Salar de Uyuni and climb the Tunupa volcano. You will enjoy a beautiful sunset inside the Salar de Uyuni, and observe the stars and the sunrise. Discover the fascinating Uyuni Salt Flat and the imponent Tunupa Volcano. The route also includes trekking at Incahuasi Island and a visit to the mummies, caverns of petrified algae and the village of Colchani. Discover the fascinating Uyuni Salt Flat and the imponent Tunupa Volcano. 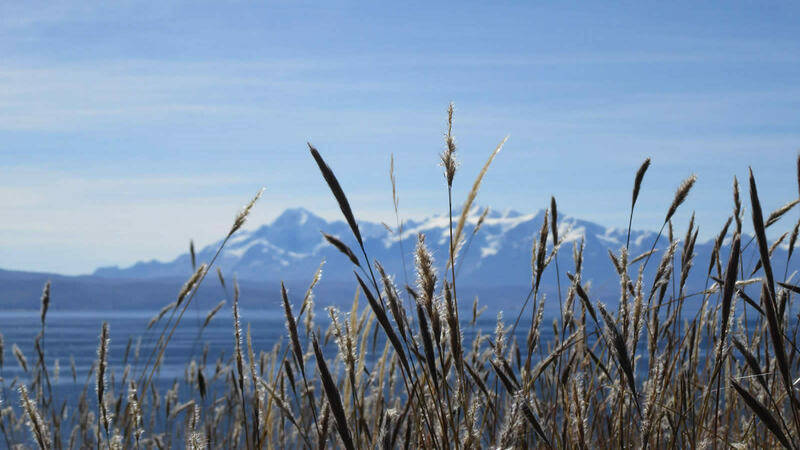 The route also includes trekking at the Incahuasi Island, the train graveyard and Colchani. The tour will start at San Pedro de Atacama town located in Chile and then will continue inside Bolivia through the Lagoons. Tours will go North visiting points of interest in the region, the majestic Uyuni Salt Flat and ending at Uyuni town. The journey begins in Calama (Chile). You will be taken to the the Bolivian border in Hito Cajones and then visit the most important tourist attractions of the Eduardo Avaroa reserve and the Bolivian Salt Flat. This private tour lets you travel comfortably at your own pace. You will stay at a famous Salt Hotel near the edge of the salt flat. Visit the wonderful Salar de Uyuni and the most iconic tourist attractions of the Eduardo Aavaroa National Reserve. Travel comfortably and at your own pace. Our tour includes private transportation and lodging at the famous Salt Hotels located on the edge of the Salar. The expedition will begin in San Pedro de Atacama (Chile). You will travel to the border at Hito Cajones and then visit the most iconic tourist attractions of the Eduardo Avaroa National Reserve as well as the wonderful Salar de Uyuni. Travel comfortably at your own pace! The tour includes private transportation and accomodation in a famous salt hotel located on the edge of the salar. The Uyuni Salt Flat Tour takes you to the main attractions of the Uyuni region: Incahuasi Island, Chiguana Salt Flat, Ollague Volcano, Colorada, Caniapa, Hedionda, Honda, Shiarkoa, Verde and Ramaditas Lagoons, the Salvador Dali desert, Stone Tree and Pampa Siloli. The best shared tour option for solo travelers. Discover the wonders of the region on your way to the Salar de Uyuni! Starting and ending in La Paz city the tour will cover the main attractions in Uyuni, including: The majestic Uyuni Salt Flat, Verde and Colorada Lagoons, Eduardo Avaroa Reserve, thermal waters and volcanoes. 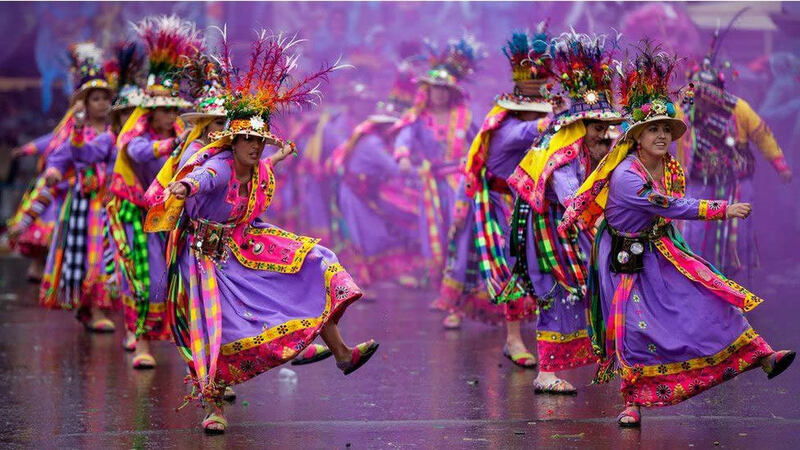 Travelers will start and end the tour in La Paz city. The tour covers the main attractions in Uyuni, including: The majestic Uyuni Salt Flat, Verde and Colorada Lagoons, Eduardo Avaroa Natural Reserve, Thermal waters and Volcanos. The tour will lead us through the majestic Uyuni Salt Flat, beautiful lagoons and other tourist attractions in the region. You will enjoy a bath on the thermal water of Polques and will end the tour at San Pedro de Atacama-Chile. The tour will lead you through the Majestic Uyuni Salt Flat, beautiful lagoons, volcanoes and deserts. You will enjoy a bath in the Polques thermal water and will end your journey in Calama-Chile. 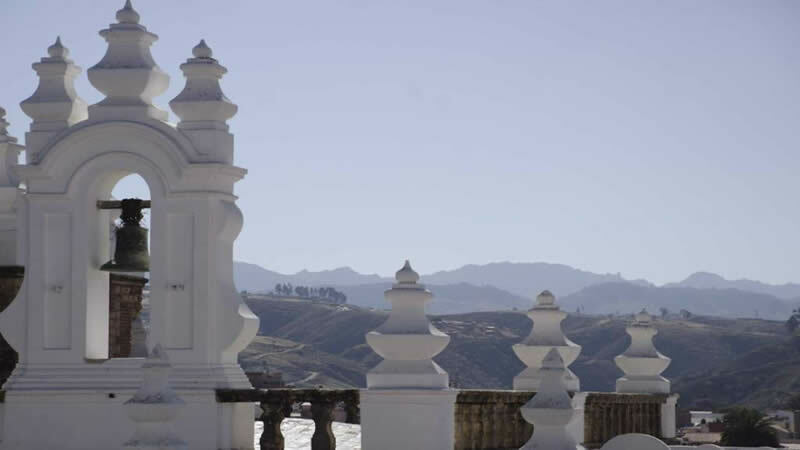 3 day private tour of the Uyuni area that includes private transportation from Uyuni to Sucre or Potosi as well. This is a perfect option for travelers looking to discover the wonders around Tupiza town, the magnificent Uyuni Salt Flat, the delightfull lagoons and the most important points of interest of the Uyuni Area. Visit deserts, volcanos and pink flamingos in this fantastic region. A private tour to visit the most relevant touristic sights in Sucre and the Uyuni Salt Flat area. We can arrange for you bus or flight tickets for your travel to and from Uyuni. New roads to Uyuni have recently been finished reducing the journey time. You can choose between two tourist bus companies that offer better service and value your safety: Todo Turismo and Panasur. They both leave from La Paz and arrive early in the morning, so you get to watch the sunrise over the incredible landscape. Buses usually arrive in Uyuni around 07:00 a.m., so you will have enough time to have breakfast, change money and buy some things you may need during your tour. BoA and Amaszonas offer daily flights to the airport in Uyuni from La Paz. Flights from La Paz to Uyuni arrive from 06:30 a.m. to 09:15 a.m., which allows you to start tour the same day as you arrive in Uyuni. You can also travel to Uyuni from Sucre or Potosí by land. Amaszonas offers flights from Sucre to Uyuni. 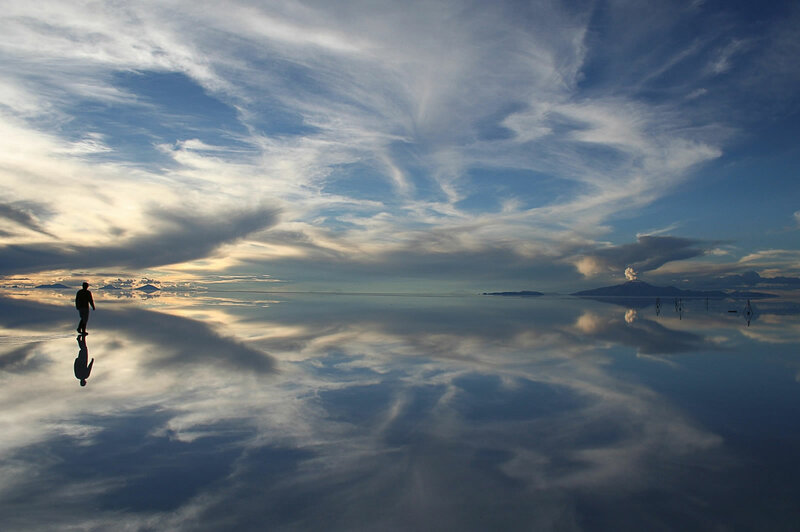 In the dry season, the Salar de Uyuni is a special sight not to be missed. However, the rains that fall from December to April make it a totally different experience, January being the month with the highest likelihood of rain. A thin layer of water, only a couple of inches deep covers the salt and reflects such a perfect image of the sky above that it is almost impossible to tell where the heavens ends and the earth begins. This mirror effect lends itself to spectacular photo opportunities, especially during the sunrise or sunset. The night sky filled with stars is also perfectly reflected, so a stargazing tour will become even more spectacular! Be aware, though, that if it rains too much, the salt melts, and Isla Incahuasi becomes inaccesible and you can only enter the Salar a short distance. The most common Bolivia Salt Flat tours can be from one to three days starting either in Uyuni or San Pedro de Atacama in Chile. For tours starting or ending in Tupiza or Villazon, you will need 4 days and 3 nights. It is possible to organize longer tours and custom itineraries. Full day tours are only available from Uyuni itself. You can arrive early in the morning in Uyuni town by taking a bus from La Paz the night before and starting the tour at around 10:00. You can also take a flight the same morning of the tour if you would not like to travel in a bus the whole night. While it is possble to return to La Paz the same day of the tour, we do not recommend it as this way you would miss the sunset and the stargazing in the Salar de Uyuni. 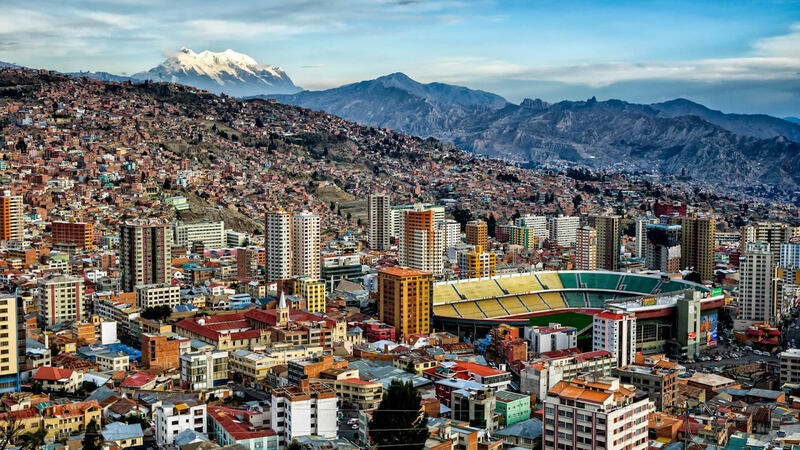 It is better to return to La Paz the next day. During a full day tour of the Salt Flat you will visit to both Colchani village and the Train Cemetery. Isla Incahuasi is also included, as well as a visit to the former Salt Hotel Playa Blanca (now closed) and the Dakar monument nearby. Theres is plenty of time to take photos in the salt flat. Most tours also include watching the sunset inside the salar. Visits to the Thunupa volcano and stargazing tours inside the salt flat at night are usually optional but highly recommended. Two Day tours can start and end either in Uyuni or San Pedro de Atacama in Chile. While the itinerary is more rushed than during a 3 day tour, you will be able to see many of the most important tourist attractions in the area. Three Day tours may start from Uyuni, San Pedro de Atacama or Calama in Chile, or from La Paz by flying to Uyuni. This is the most popular and complete tour option and you can end the tour either in Uyuni, La Paz, San Pedro de Atacama or Calama. During a 3 day tour you will visit all of the important tourist attractions in the area. Four Day tours generally start in Tupiza or Villazon and end in Uyuni town or San Pedro de Atacama. A 4 day tour can also start in Uyuni or San Pedro de Atacama and end in Villazon or Tupiza. The extra day is due to the large distances travelled. The tours can start from Uyuni town, La Paz city, San Pedro de Atacama, Calama, Tupiza, Villazon, Sucre or Potosí. The number of days needed for the tour will vary accordingly. Salar de Uyuni tours from La Paz can include a tourist bus ticket (Todo Turismo, Panasur) or a flight. The tours can be either shared or private. Shared tours are cheaper but a lot less flexible than private tours and the accomodation is basic. Private tours can include much better accomodation in Salt Hotels and Hotel del Desierto Tayka. If you are travelling in a group, a custom itinerary for your tour can easily be arranged. We can adjust the Uyuni tour package according to your needs. 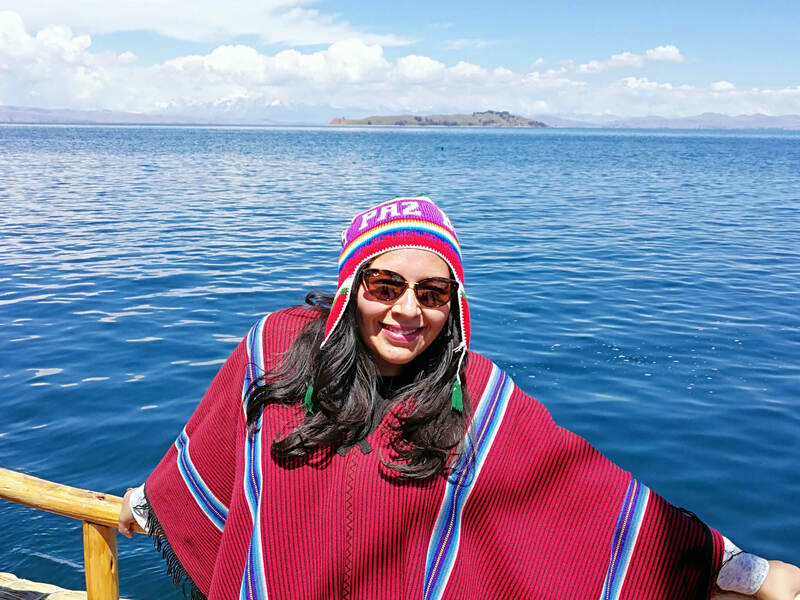 In summary, the cost of a Salar de Uyuni tour will depend on the length of the tour, whether it is a shared or a private tour and the level of accomodation. Please do not hesitate to ask us for a free quote! Colchani. Colchani is a small village right at the edge of the Salar. 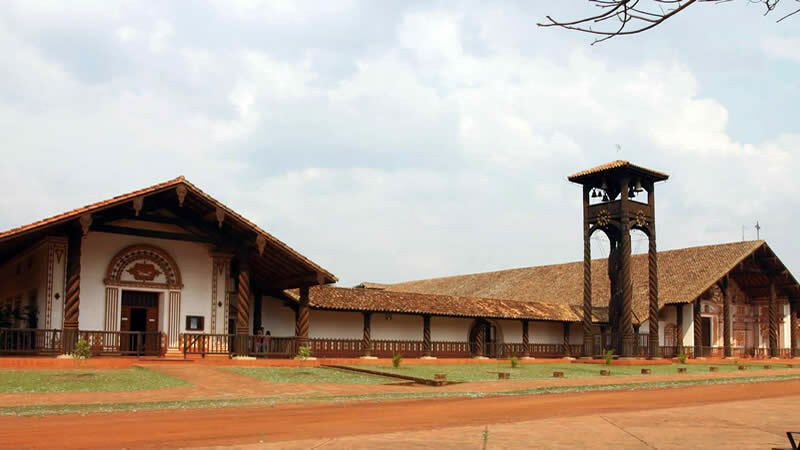 It is home to the salt extracting cooperative. A small one-street town, Colchani is the first stop of all tours leaving from Uyuni before they enter the Salar. A number of stalls line the street packed with souveniers, salt ornaments, and other local goods. There are also some very basic salt museums and you can visit the workshop where the extracted salt is processed and packaged, manually. The Train Cemetery near Uyuni. Uyuni was once the key link in the rail tracks connecting the mines of Bolivia with the rest of the world. When the mining industry collapsed, the trains were abandoned and left to rust in a harsh climate of fierce sun and salty winds. Now the quiet corroded locomotives, painted with graffiti are like climbing frames for adventurous travelers looking for a special photo as part of their Salt Flats tour. Incahuasi Island, also known as the Isla Pescado is a hilly desert oasis in the middle of this sea of salt. It is a fish shaped island of ancient corals. The giant cacti and vizcachas that inhabit Isla Incahuasi are the only signs of life for many miles. Wonderful sunsets and optionally stargazing tours at night. Sunrise inside the Salar de Uyuni. Pink flamingos: the three species of South American flamingos - Chilean, James and Andean come to the Andean lakes and lagoons to breed each November. 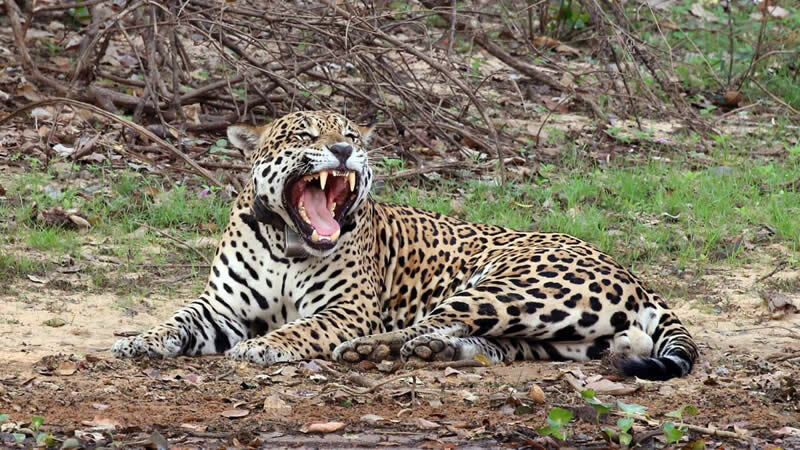 The Green Lagoon, Red Lagoon and the Polques thermal waters are also visited during the tour to the salar and the Eduardo Avaroa National Park. The Laguna Verde has beautiful green waters and is located near the border with Chile at the feet of the Licancabur volcano at a height of 4300 (14,000 feet) above sea level. The greenish coloration is due to deposits of copper minerals. The Laguna Colorada (Red Lagoon) is a lake with crimson coloured waters, also due to the accumulation of minerals. The pink and grey flamingos living at this height and such low temperatures create a unique and spectacular scenery! We can provide English speaking guides or a budget option with a Spanish speaking guide. All tours include 4x4 vehicles for the expedition. Oxygen bottle. Pickup from your the bus station, the airport or your hotel in Uyuni. Please refer to the respective tour itinerary for a complete list of what is included in your tour. The best and most popular way to visit the Salar de Uyuni (Uyuni Salt Flat) is by taking a 4x4 jeep tour across the salt flats and the surrounding region. Most bolivian Salt Flats tours are safe and reliable; however, the area is very remote and you should be aware of this. The Salar de Uyuni in south-west Bolivia is one of the harshest environments for vehicles on the planet and occasional vehicle breakdowns can happen, this to a certain extent is unavoidable. The drivers are used to breakdowns and are skilled at fixing their vehicles. They are always willing to help each other out and are usually not stuck for long. These tours are well worth it. We can guarantee that you will see some of the most unique landscapes on the planet. The sun is extremely strong in Uyuni, even more so inside the Salar as the salt and the water on top of it reflects the radiation right back at you. Sunscreen, sunglasses, and a hat are indispensable. We recommend that you also bring lip and hand moisturizer, dark sunglasses with ultra violet filter and a raincoat when travelling between December to April. During the day, the temperature is usually pleasant. In the evenings, when the sun begins to set, temperatures can get very cold very fast. Warm clothes, gloves, hats, extra thick socks and a scarf are recommended for the multi-day tours and the stargazing at night. Given the isolated nature of the place, electrical power sources can be difficult to find, so bring external power packs or extra batteries to ensure your camera is always charged. The unique setting of the endless salt flat at Salar de Uyuni makes all kinds of fun perspective photos possible. Here are some tips for cool Salt Flats photos to awe your friends. Bring as much small and interesting items as possible: toys and action figures, tiny vehicles and other props such as sunglasses, shoes, and bottles can all be turned into something funny and unexpected. Consider some Star Wars items, as the Uyuni Salt flat is featured in the latest movie! Rest the camera on the ground or a tripod to make positioning much easier as holding the camera in your hands makes it next to impossible! Take lots and lots of photo shots since it is not so easy to get the perfect picture and you might never be back here again. Making your friends jump up in the air is a last resort shot that can always come out well. Pasenger luggage is generally stored in the tour operator's office until the tour ends. You only take with you the clothes and items you will be needing during the tour. You can read more about the characteristics of shared tours here. Private tours can be customized according to your needs and budget. Below is a description of the main characteristics of the private tours in Uyuni. Private tours may be as long as you desire. 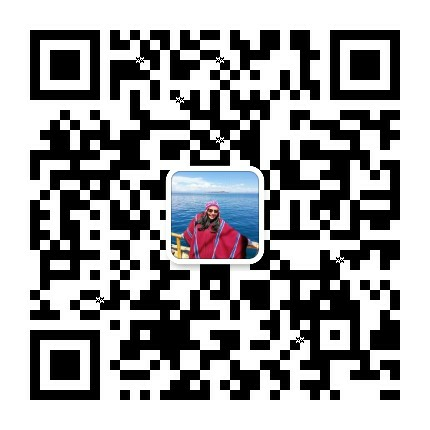 The itinerary can be adjusted to your interests and requests. Private tours include private transportation. The 4x4 vehicle(s) are assigned according to the number of passengers requesting the tours. Private tours are ideal for travellers who would like to climb the volcanoes or include unique activities such as watching the sunset inside the Uyuni Salt Flat, stargazing, riding a bicycle inside the salt flat or at any time during the itinerary, or have a barbecue inside the Salar de Uyuni. The most popular private tours are the 3 Days / 2 Nights Private Tour and the 1 Day Private Tour of the Salt Flat. In case you have only 2 days availabale, you can visit the Uyuni Salt Flat and the Thunupa volcanoe or the minor lagoons. If you would like to focus your visit on the salt flat itself, you can wait for the sunset inside or return later in the evening for stargazing. You can also enjoy fun activities like riding a bicycle. These Salt Hotels in Uyuni are made almost entirely from salt!